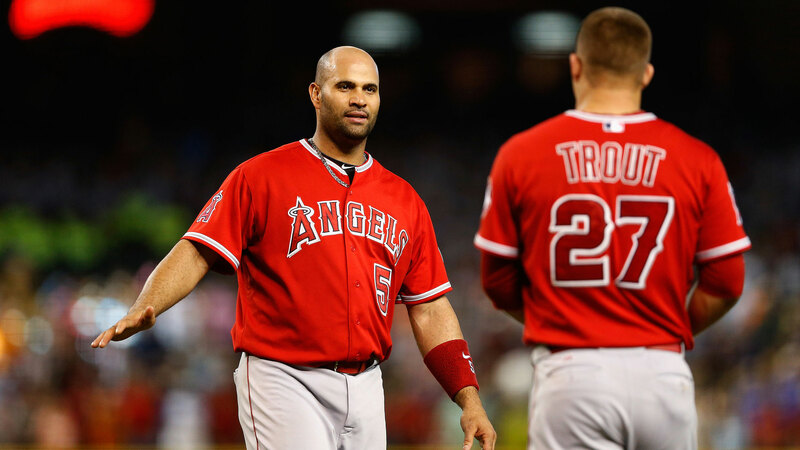 » Albert Pujols Is Back … But for How Long? On May 25, with the score tied in the bottom of the ninth, runners on first and third, and two outs, then–Padres manager Bud Black ordered his bullpen ace, Craig Kimbrel, to intentionally walk Mike Trout. In a vacuum, handing a free pass to the best baseball player on earth isn’t particularly notable. But when you’re loading the bases to get to one of the best hitters in the history of the sport, something’s up. Well, no matter who made the call, it didn’t end up being the best idea. On a 1-0 count, Pujols got a pitch up in the zone and delivered a broken-bat, seeing-eye single through the left side of the infield, winning the game for the Angels. 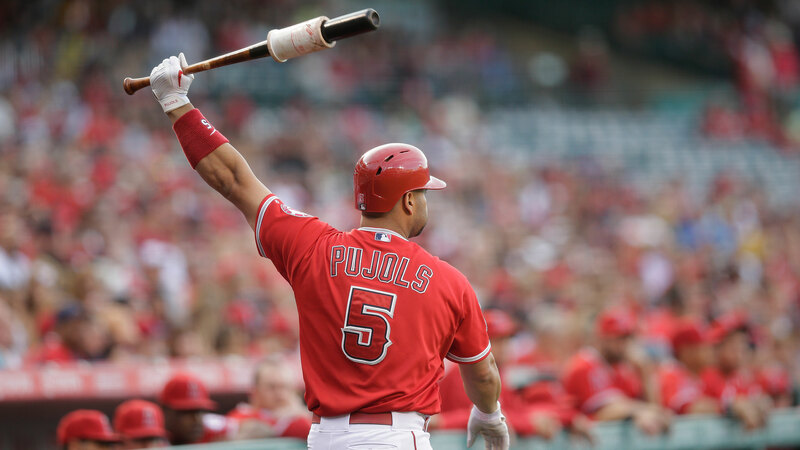 While we lack the mind-reading skills to say that Pujols found some new motivation or focus after being dared to beat the Padres, the fact is, he’s been on fire ever since. From May 26 on, Pujols is hitting .357/.432/.847. Over the past 25 games, he walloped 15 homers and knocked in 30 runs (with just four strikeouts), marking the best 25-game stretch of his career in both of those Triple Crown stats. And with 12 home runs in June, Pujols had out-homered four teams — the Pirates, Indians, Mariners, and Braves — all by himself before Tuesday’s action. Has the old Pujols returned for good? Not likely. But are we seeing a newly improved Pujols, one who could be a top-25 offensive player and provide Trout with some much-needed support in a thin Angels lineup? We just might be. These numbers are all in keeping with how hard Pujols has been hitting the ball. According to Baseball Savant, 12 percent of the balls Pujols has hit this year have clocked in at 100 mph or faster, second only to Giancarlo Stanton. An earlier look at Pujols’s exit velocity on a week-by-week basis could’ve offered a hint that a surge might be coming. Generally, if you’re smacking the cover off the ball, good things will eventually happen. 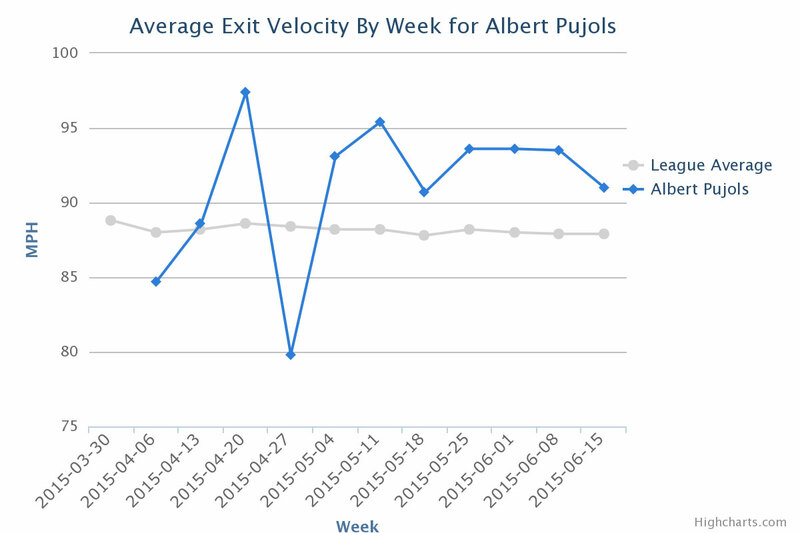 And Pujols’s average exit velocity has been consistently well above league average since late April. One common scouting theory suggests that hitters tend to get more aggressive as they get older, swinging at pitches more often in the hopes of maintaining their home run totals and offsetting a potential erosion in bat speed. So maybe we’re zeroing in on him during a particularly fortunate patch of a free-swinging approach that’s bound to have its ups and downs? Were that the case, we’d also expect it to be coupled with a paucity of walks, and while it’s certainly true that Pujols is walking far less often now than he did during his St. Louis prime, some of that is due to pitchers treating him less gingerly: He was intentionally walked in about 5 percent of his plate appearances from 2006 to 2010, but less than 2 percent of the time since then. As an Angel, Pujols’s swing rates on pitches out of the zone do suggest that he’s become a more aggressive hitter in the second half of his career, but in 2015 he’s actually swinging slightly less often at non-strikes than he did in from 2012 to 2014. Plus, his strikeout rate is back below 10 percent after hitting double digits the past three seasons. Another scout theory holds that hitters try to pull the ball more often to make up for those same potential bat speed concerns — a similarly limited approach that opposing pitchers soon figure out. With Pujols, though, we haven’t seen that trend at all: He’s pulling the ball far less often (and going to dead center far more often) than he did last year. That’s the mark of a hitter who, as we’ve already established, knows how to handle outside pitches. 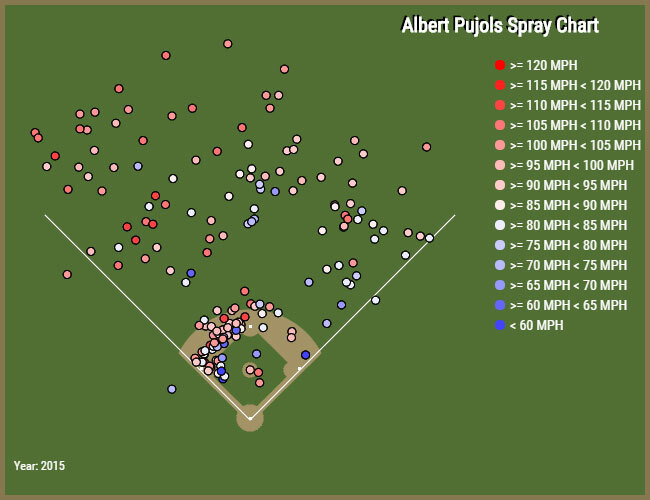 Look at Pujols’s spray chart from 2008 to today, and you’ll see a hitter whose pull tendencies in his mid-thirties don’t look all that different than they did in his late twenties. So if Pujols is back to making solid contact and back to making light work of anything that fiddles with the outer portion of the plate, it would seem like there’s a good chance he settles in as (at least) an above-average hitter. The question then becomes: After a handful of middling seasons in California, what’s new? Maybe he’s finally healthy again. After knee surgery in 2012 and then struggling with plantar fasciitis throughout 2013, according to a source with the Angels, Pujols lost a bunch of power from the lower half of his body, and those injuries prevented him from completing his normal offseason workout routine. Lower-body power has a lot to do with a batter’s ability to get the ball into the air — and we could be seeing that with all the home runs Pujols has hit so far this year. Sluggers that dominate to the extent Pujols did in his twenties and early thirties can remain productive players for several years thereafter. After all, a decline from MVP levels can still result in a pretty good player. So if all that was missing from Pujols’s repertoire the past two years was health, then we’d be in for a couple more productive seasons from the former all-world star. But whether their first baseman’s improvement comes down to regained health, an unseen tweak in his approach at the plate, or something else beyond anyone’s control, the Angels will gladly take what they currently have: A version of Albert Pujols who’s a threat to go yard every time up, and a player you don’t want to face with the game on the line — even if it means figuring out how to pitch to Mike Trout instead. Thanks to Michael Bonzagni of ESPN Stats & Info for research assistance. Pujols by wRC+, since 2008: 184, 180, 164, 147, 133, 112, 124, 157. Data in the following tables comes courtesy of ESPN Stats & Information and is current through Monday night’s games. Monday night’s two bombs gave Pujols 48 against the Astros, the most home runs by any hitter against Houston, ever. This was also Pujols’ 50th multi-homer game, the most by any player since Pujols began his major league career in 2001.